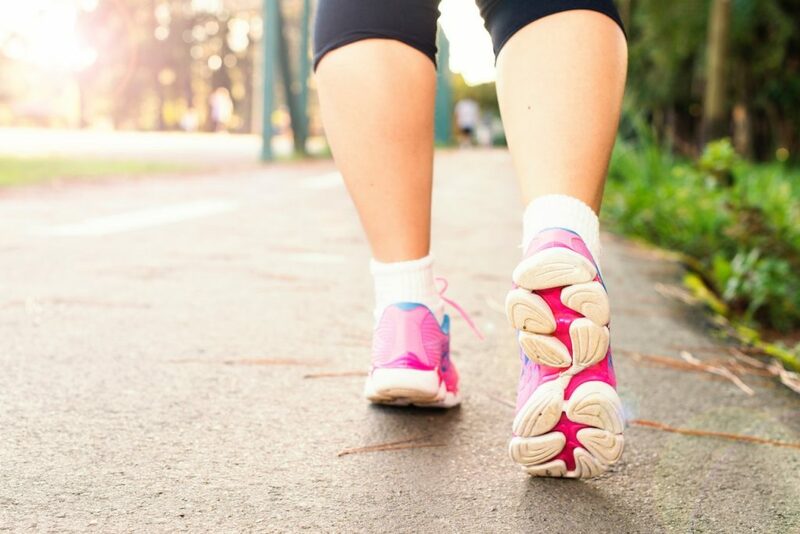 Now is the ideal opportunity for you to take advantage of the increasingly longer days and warmer weather by putting on those trainers and heading outside for a walk. Our lives are busier than ever. Trying to balance work, relationships and commitments, while trying to get enough sleep, eat well and staying active can be tough. It can be particularly hard to find the time to exercise, but walking is the perfect, low impact exercise that can easily fit into your life. All you need is just 30 minutes a day of brisk walking, maybe an early morning walk to kick start your day, or during your lunch break to give you a chance to clear your head? Postural improvement. Many of us sit at our desks for numerous hours on end, either on our computers or on our phones, which creates all sorts of problems like ‘text neck’ caused by the hunched position. Walking can help maintain a natural upright position, whilst strengthening the spine. Walking helps to rehydrate spinal discs. It helps improve circulation, resulting in increased water to the discs. Mobility and flexibility are improved. Since walking is a low impact exercise, the movement of our muscles helps to reduce tension, which can build up in the lower back. Recurrent walking helps increase our general circulation. This increased blood flow helps improve stamina and can even lower blood pressure. Along with a healthy diet and lifestyle, walking can assist with weight loss. Through losing weight, additional compression to the spine and muscles is diminished. Walking is cheap! No gym membership fees are required, so this is a hobby that pretty much everyone can take part in at a time and pace, which suits you. It’s a perfect way to get social! Go walking with friends or colleagues and set a regular walking date? Having a fixed time booked in for walking with other people is a great way to stay interested and motivated, have fun and get fit all at the same time. So, let’s go outside and get that spring in your step to help boost your mental and physical wellbeing, whilst looking after your spinal health.